Wissmann: "The awareness within this industry that we must remain within the borders of what is socially and ethically responsible has grown recognizably (since the VW scandal)." BERLIN -- Germany's automakers have "learned from past mistakes," Matthias Wissmann, the departing president of the VDA, the country's main auto lobby group, said on Tuesday. Wissmann was referring to how the industry has responded to a new scandal related to diesel emissions. The New York Times reported last Friday that in 2014 monkeys were exposed to diesel fumes to try to debunk claims from the World Health Organization that diesel exhaust could cause cancer. The experiment was arranged by an organization funded by Volkswagen Group, Daimler and BMW Group called the European Research Group on Environment and Health in the Transport Sector (EUGT). The EUGT was dissolved last year. The three automakers have criticized the tests. In addition, VW Group on Tuesday suspended its chief lobbyist, Thomas Steg, after emails emerged that indicate Steg was informed in May 2013 about the experiment. "In view of the recent headlines, I would add that the companies involved swiftly distanced themselves from the events and emphatically and clearly criticized the procedure," Wissmann said. "I can assure you, this industry has learned from past mistakes." The biggest of those mistakes was VW Group's cheating on emissions tests, which was uncovered by the U.S. Environmental Protection Agency in 2015. Wissmann, said on Tuesday that the scandal didn't make it easy for regulators, politicians and supporters to continue working on the industry's behalf. 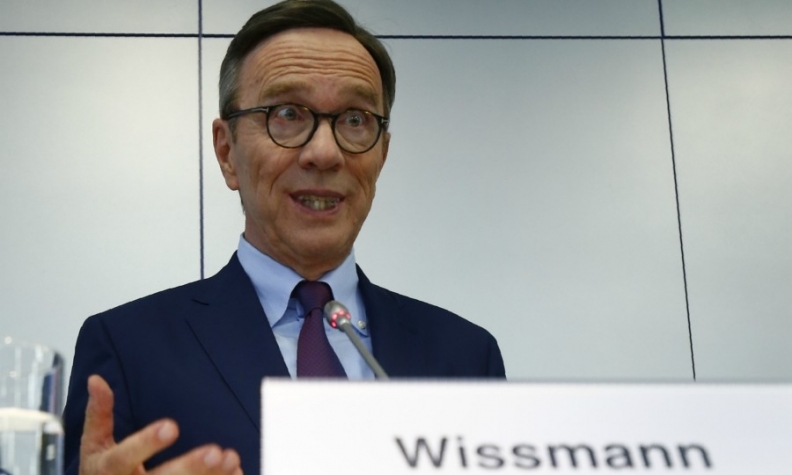 In his final major appearance as VDA boss, Wissmann claimed improvements had been made since that crisis. "The awareness within this industry that we must remain within the borders of what is socially and ethically responsible has grown recognizably," Wissmann said in a speech before roughly 700 guests that included VW Group CEO Matthias Mueller and BMW Group CEO Harald Krueger. Earlier on Tuesday, the VDA said that its members had appointed Bernhard Mattes as Wissmann's replacement. Mattes is the current president of the American Chamber of Commerce in Germany and former Ford of Europe executive.